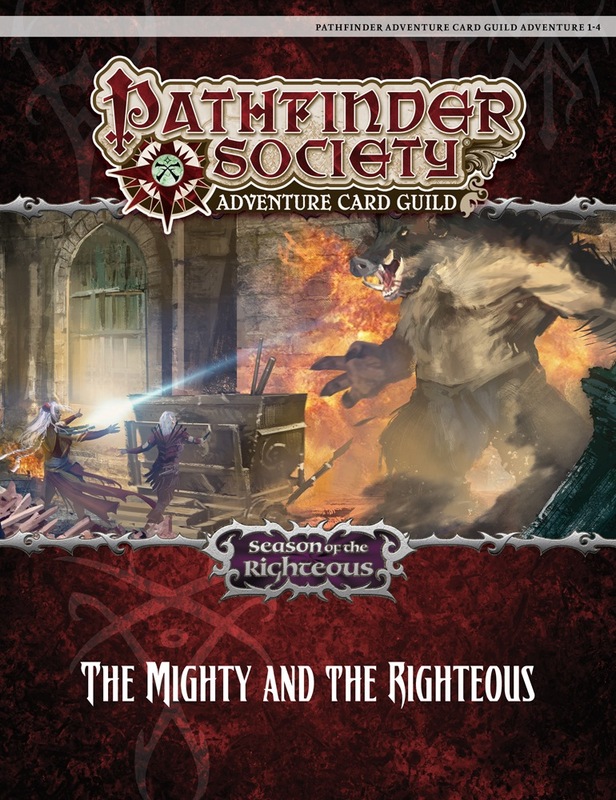 This Pathfinder Society Adventure Card Guild scenario bundle contains five scenarios, an adventure card, the adventure path card for Season of the Righteous, and Chronicle sheets for players to keep track of their progress. Well, you've finally secured the Lexicon of Paradox, a fabled tome that Queen Galfrey needs to seal the Worldwound and end the flow of demons from the Abyss into your world. Now you're lost in the Abyss, your portal closed behind you, and the demon lord Nocticula, the Lady of Shadow, would like a word. You're spaced out on sensation, like you're under sedation—let's play some Adventure Card Game again! These scenarios are designed for play in the Pathfinder Society Adventure Card Guild, but can be run with no adaptation in any Pathfinder Adventure Card Game: Wrath of the Righteous game. Remember that players choose mythic paths for their characters prior to the start of this adventure!